So a few weeks ago hubby John was down sick with a bad cold and very bored but inspired. So I got these! 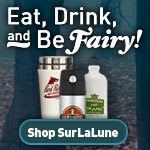 New designs for the SurLaLune CafePress store. I am slowly adding them to the shop and editing and sizing the items that didn't auto populate well. But there are many items now great as they are. And if there is something you really like but that isn't formatted well yet, let me know and I will fix it sooner rather than later, no obligation. I am calling this the "Fairy Tales Since Series." Yes, dates can be debated depending on which version you want, but I went with the dates of the best known versions of the tales. And I think they are fun! Which is your favorite? I like them all, but the Rumpelstiltskin design is probably my favorite. And which fairy tale would you like to see receive a treatment like this? LOVE the Rumpelstiltskin one, and the Princess and the Pea design quite catches my fancy as well! These are fantastic! Would love to see a Snow White one.